Stunning brand new 4 bedroom villa with tropical Balinese blended with modern industrial design. 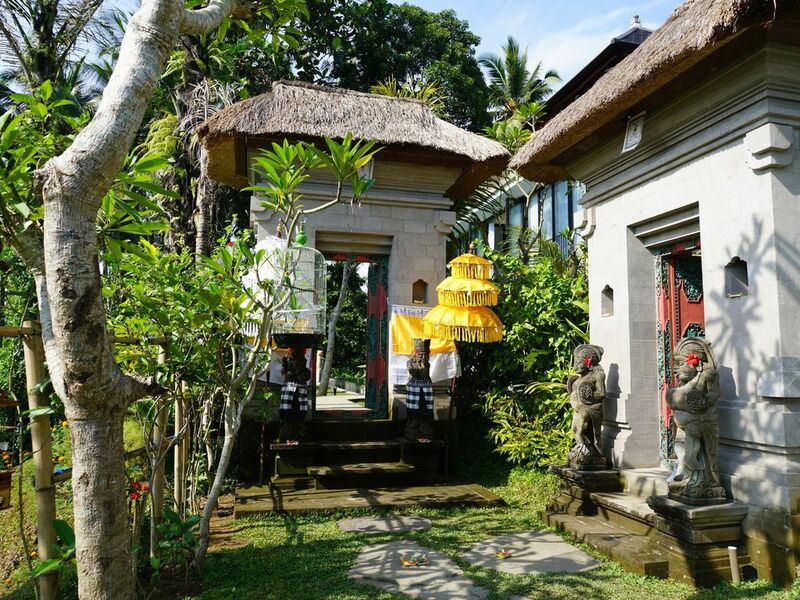 Located in Ubud area. Big swimming pool surrounded with beautiful Balinese landscape. Beautiful bedroom with direct access to the pool. Second floor bedroom with rice field view. Private bathroom for each bedroom, well design kitchen with complete appliances and kitchen utensils. Have a wonderful time with your family on 3rd floor open space area with Ubud fresh air. Our property seated on the small hill, so there's some stairs (17-19 steps).